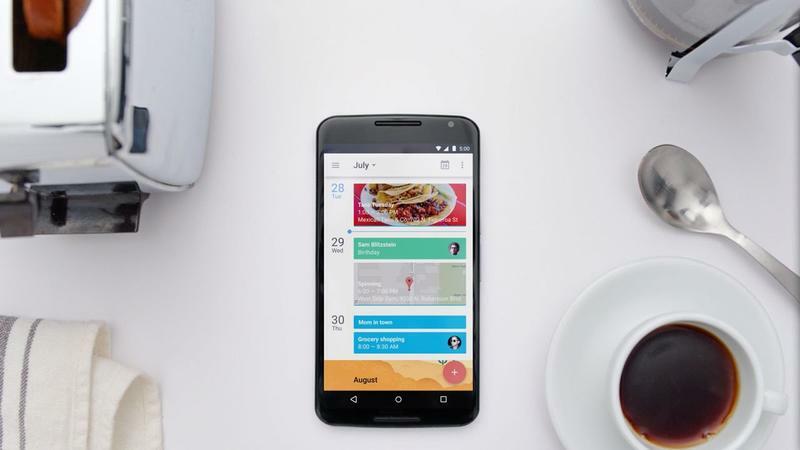 Google on Monday officially released a brand new Google Calendar application that offers a complete refresh on the company’s previous calendar app. It will be immediately available on all new Android 5.0 Lollipop devices, such as the Nexus 9 that’s available today, and the new Nexus 6. It’s also going to roll-out to all Android devices running Android 4.1+ in the coming weeks, which means you’ll be able to use it without buying a new device. 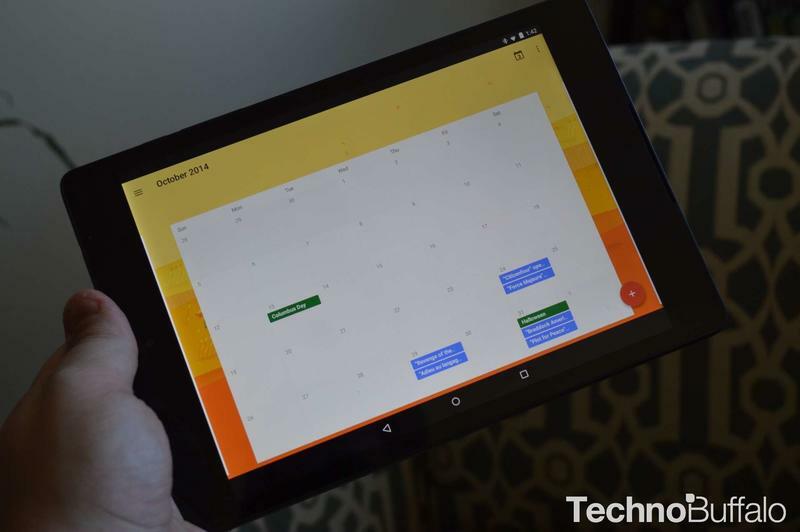 There are a lot of great new features, so let’s check some of them out now. 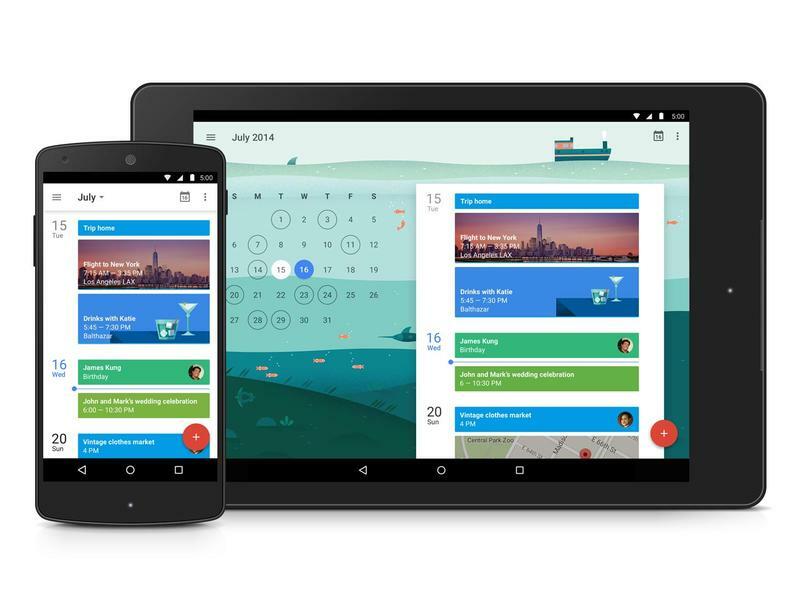 First, you’ll find that Google has completely re-designed the user interface. Everything is much more colorful and rich with information about each meeting you have, complete with tiny avatars of people you’re interacting with, maps for destinations of each meeting and more. You’ll find this everywhere, but particularly in the new schedule view that provides at-a-glance information on your schedule. 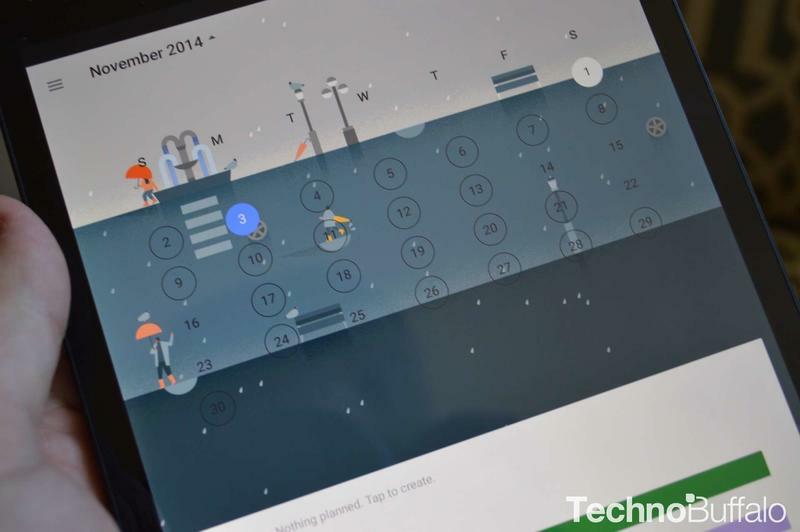 Google even added some old-school calendar styles, like a header that changes with a theme for each month. November is rainy and gray. February features ice skaters, while July features an ocean theme. It’s lovely to look at, but these UI tweaks can also be very informative. If you’re flying on Thursday, for example, a quick tap of that appointment will show you details on your flight, complete with a picture of your destination hovering at the top of the screen. 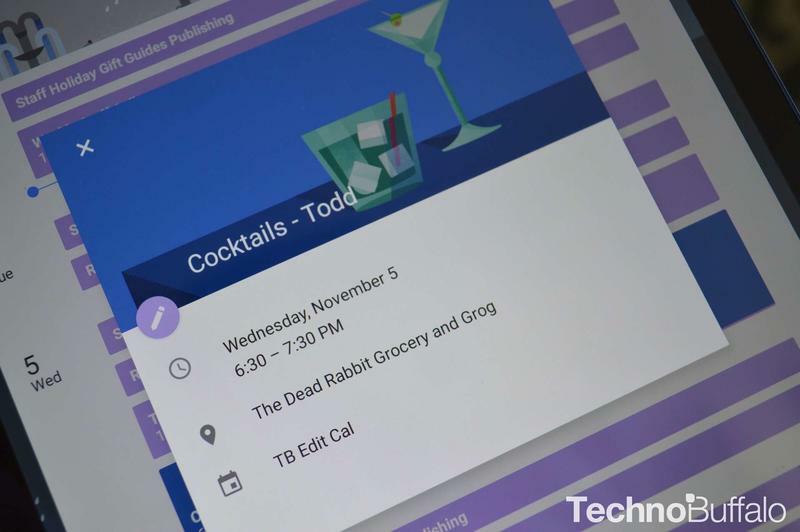 Or, as you’ll note in screenshots below, an event such as “cocktails” will populate an image of a cocktail right in your calendar. It’s unnecessary, but a nice visual touch that makes the app feel more lively. 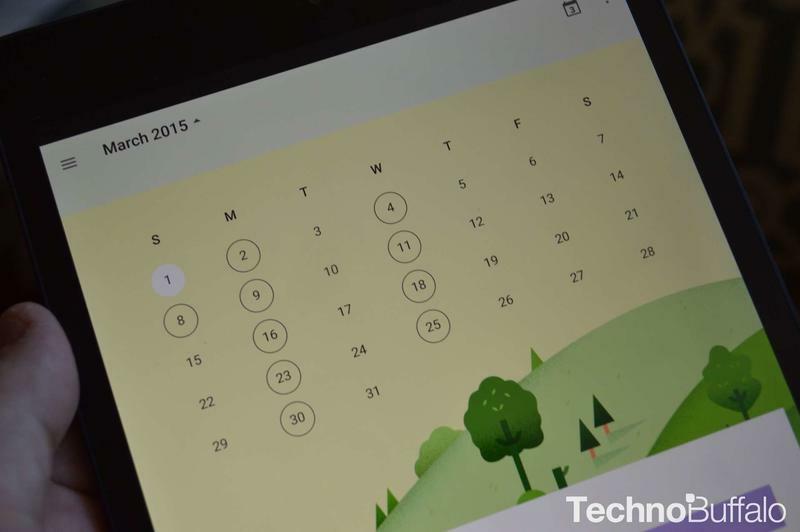 And speaking of appointments, the interface is also much smarter. 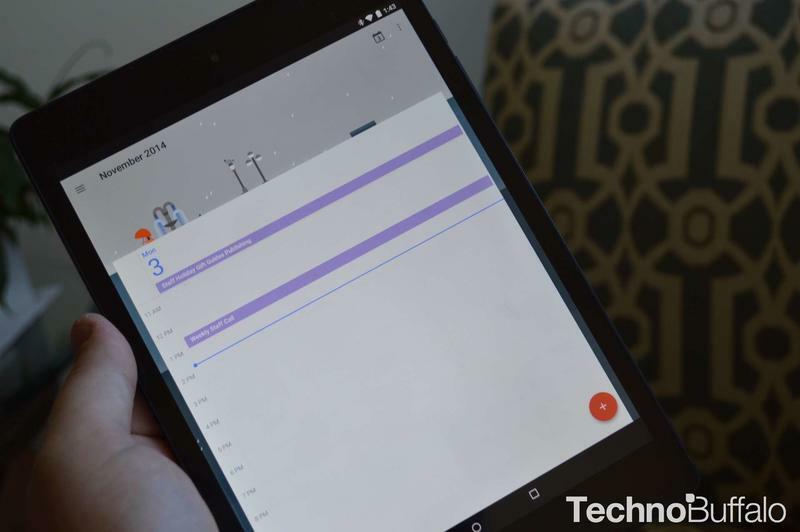 Google will automatically pull-in information that’s in your Gmail account and place it right on your calendar, which means you won’t need to manually add events that Google already knows is important. 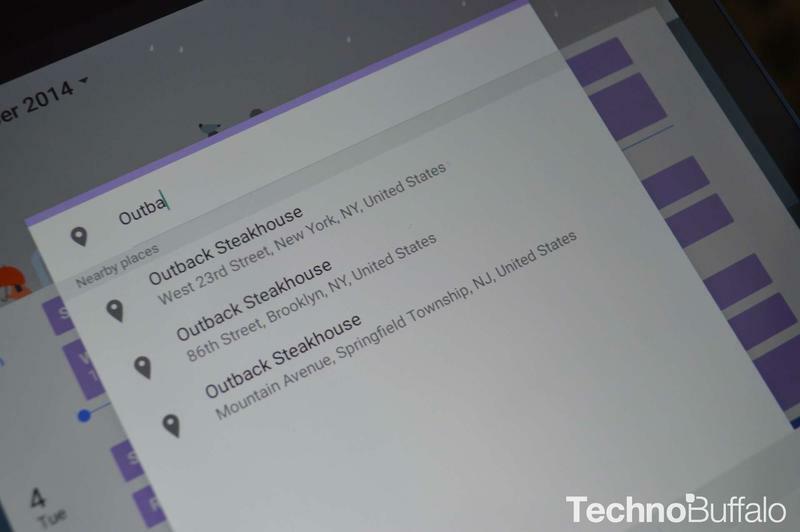 When you’re entering in the location of a meeting, Google will also start to autocomplete the exact point of interest, complete with the address, using information from Google Maps. You’ll note how this works in a picture below where we’re trying to find a local Outback Steakhouse. 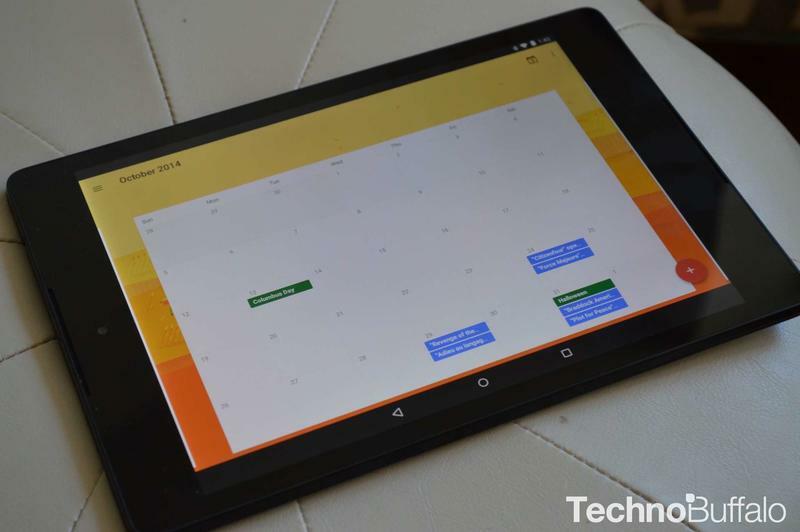 We’ve been using the new Google Calendar on the Nexus 9 for the past several days, and it’s definitely the smartest calendar we’ve ever used. 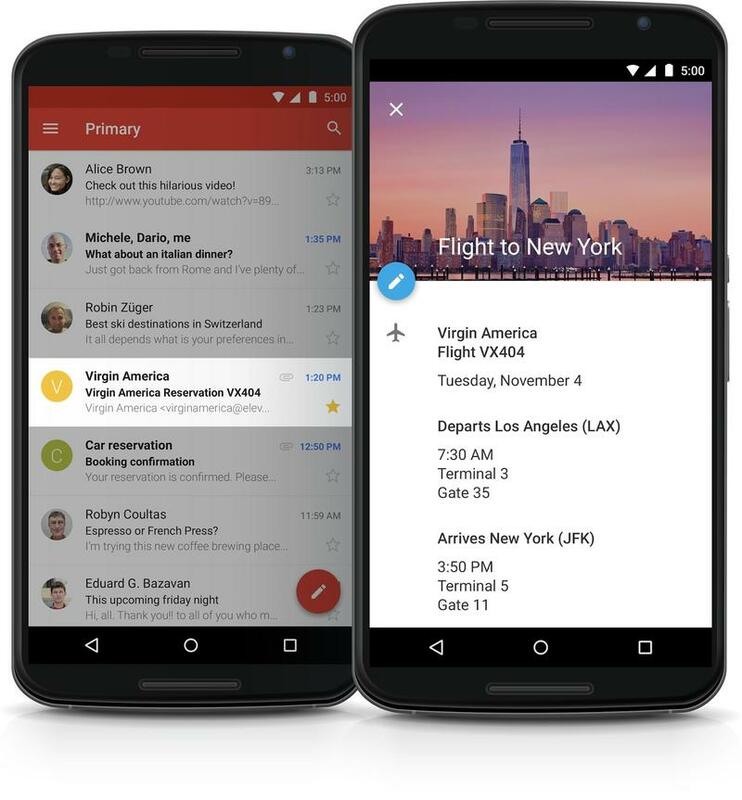 The data is beautifully presented and it’s all much smarter than other applications, which don’t tie-in to Gmail for added information. 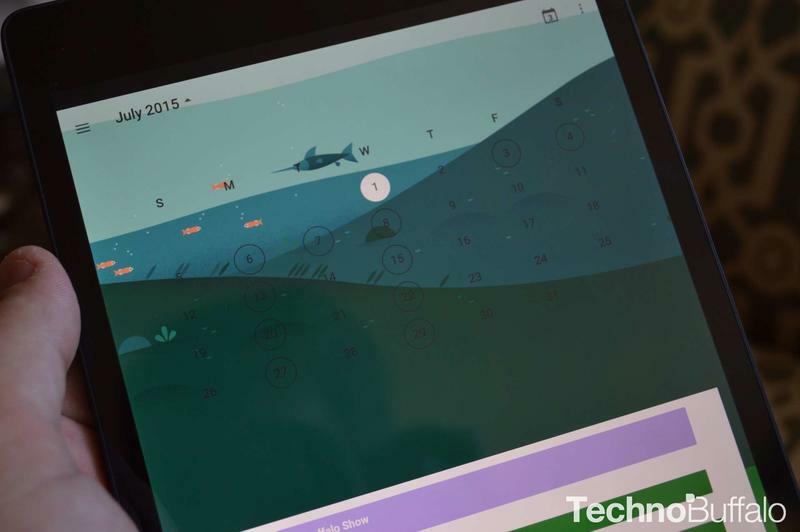 We grabbed a few hands-on screenshots snapped on our Nexus 9 that you can check out below. 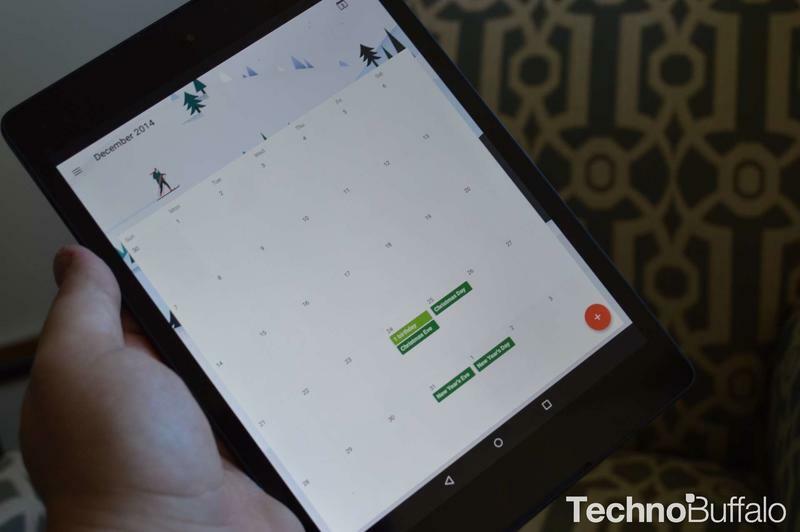 We turned off some of our more private calendars, so it looks rather empty, but trust us in knowing that Google Calendar does a fantastic job of handling a crowded calendar. This is definitely an update you should look forward to using.